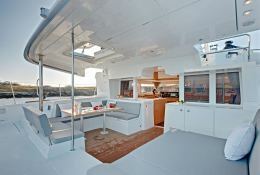 For rental in Trogir, a small seaside town close to Split airport, this magnificent Lagoon 450 will allow you to sail both in the Kornati as well as to the south and the islands of Dalmatia such as Milna, Hvar, Blato or Rukavac ... 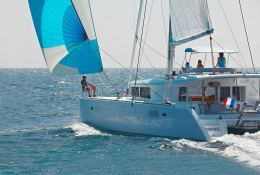 Situated in Trogir, Croatia, this catamaran Lagoon 450 (2 single and 4 double cabins), built in 2017 by Lagoon Catamaran, is capable of hosting up to 12 pax. 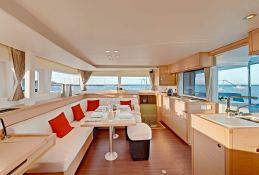 Further more, and for a better bareboat catamaran charter experience, the Lagoon 450 is equipped with air conditioning, electronic on board, equipped galley, generator, watermaker, WiFi and also CD. 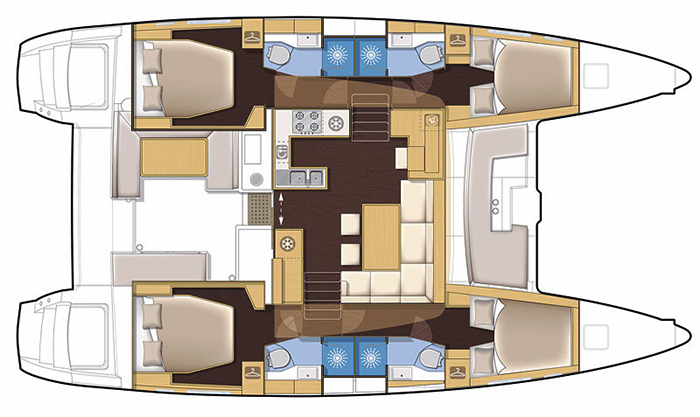 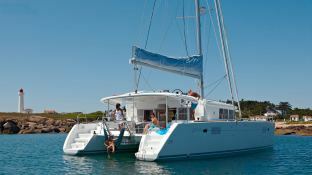 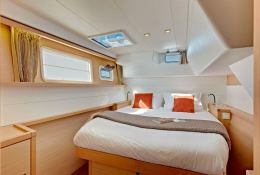 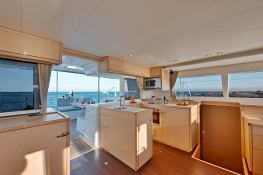 This catamaran is available for charter starting from 5 390 € (approximatly 6 079 $).